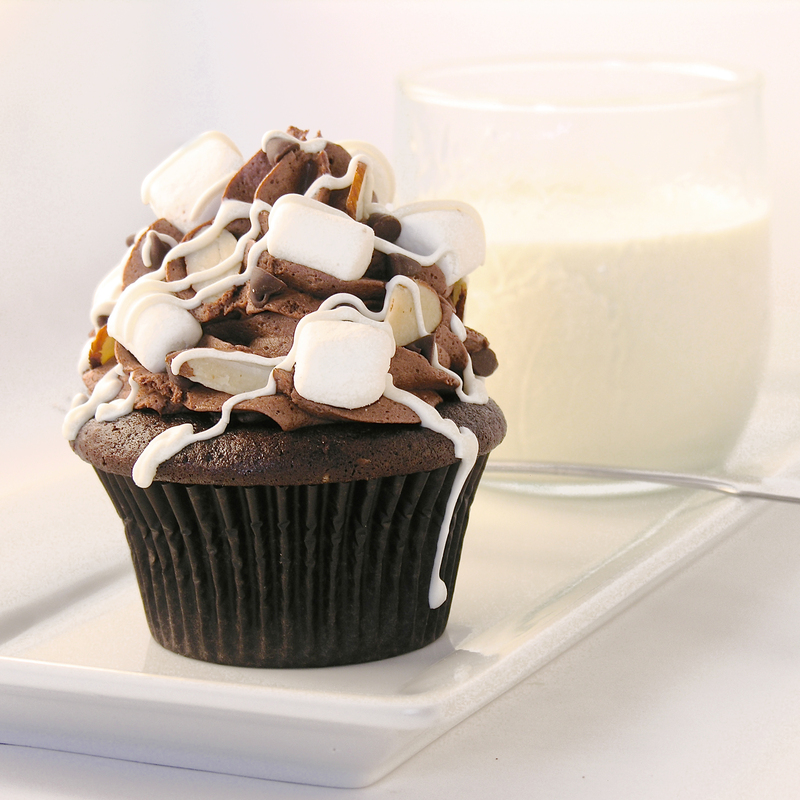 These delicious little chocolate cakes are filled with creamy sweet marshmallow, and decorated to make everyone at your fall table smile! I’ve been craving HoHos lately. Do they even still make those? Seems like Hostess went out of business awhile back…? Anyway- or those Little Debbie Swiss Cake Rolls. Both of those desserts remind me of high school lunches. My friends and I would sit at lunch, peel them apart in layers, and talk about boys and such while we ate them. Anyway… so I started thinking about a way to do a grown-up version of these flavors. My friend Angie gave me SUCH a fun pan- it makes little cakes with a cavity in the center that holds filling. See what I mean HERE . I’ve used these pans before here on Easybaked and they seemed perfect for this idea. Instead of topping cake with cake—- I topped each cake with a thick layer of chocolate glaze that was decorated with chocolate transfers. I love how they turned out! This was my 1st time using transfers, and they are a little fussy- but the wow factor….!!!!! Mmmm……!! So there is some special equipment to make these exactly like I did (cake pans, silicone molds to make the top chocolate layer). 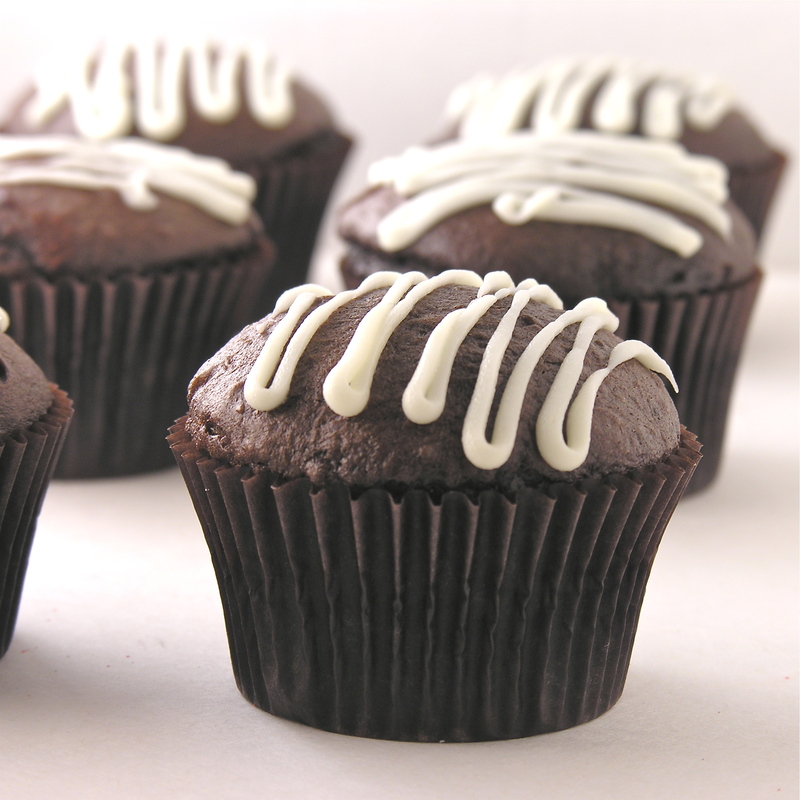 If you hate to purchase the pans and chocolate mold, make these as cupcakes. Fill them with marshmallow and pour the glaze over the top. 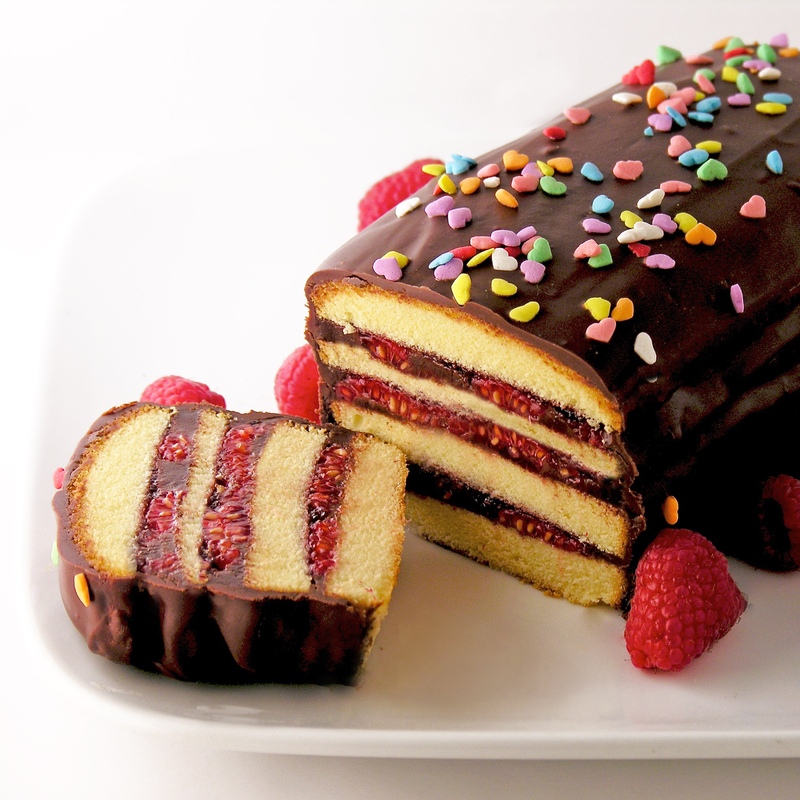 Or make this as a layer cake maybe- with the marshmallow in the middle and the glaze drizzled over the top? However you choose to make it, the flavors are wonderful together! 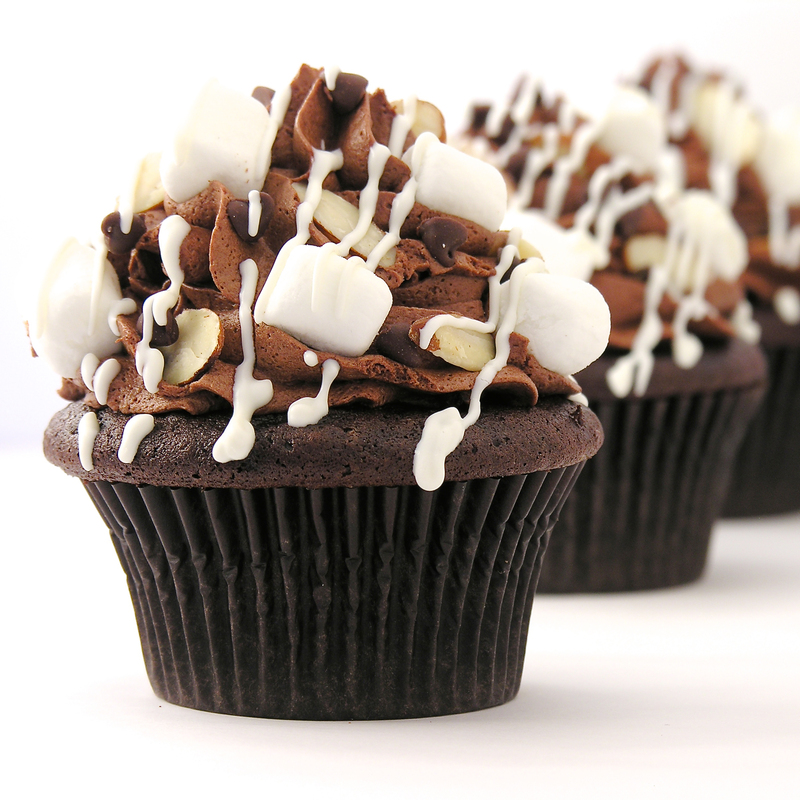 Start with the chocolate toppers. 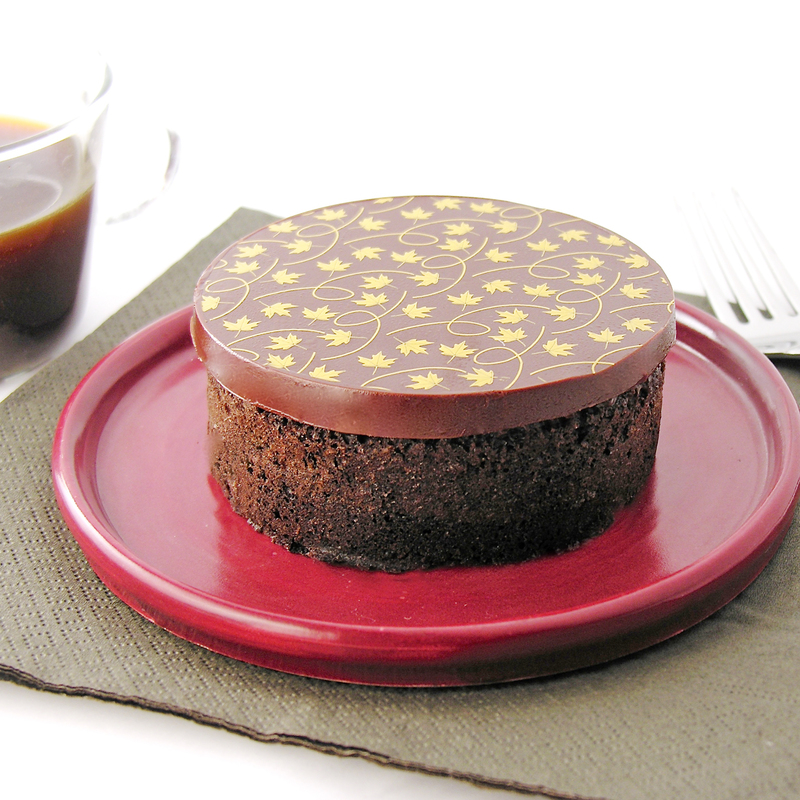 To add a chocolate transfer on top, cut 8 circles in a 4 inch diameter. I traced the pans with a marker and the cut the transfer just inside the line. Place the smooth side down and the rough side up inside a 4 inch silicone cake mold (I got mine here , in the medium size). Place chocolate chips and 12 tablespoons of butter into a microwave safe dish and melt in 30 second increments, stirring between until smooth. Gently spoon chocolate over the top of each transfer until it is covered completely. Freeze for about 20 minutes- until completely hard. 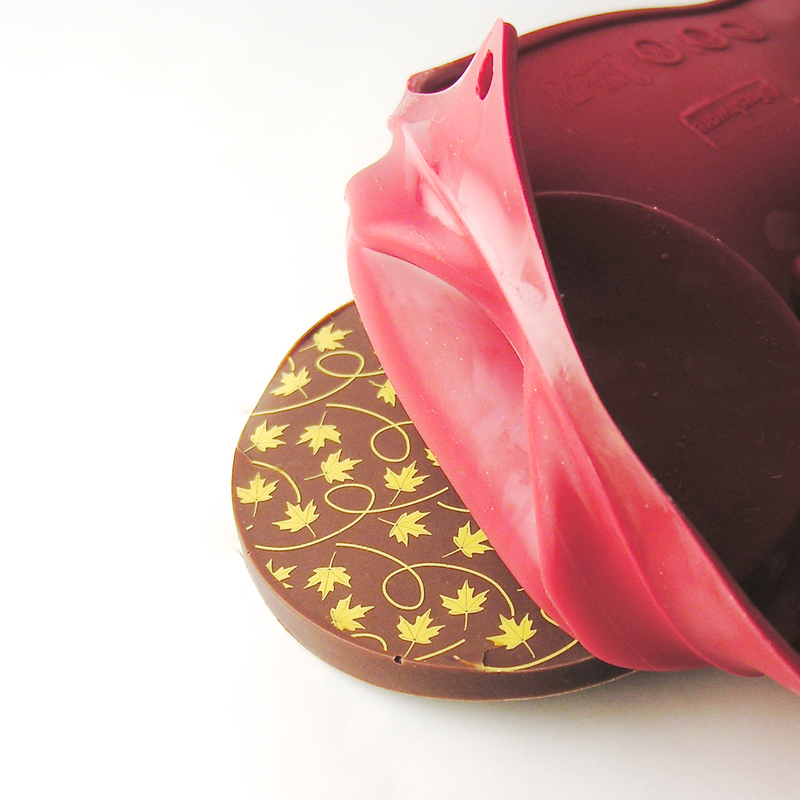 Gently peel away the silicone mold, leaving the chocolate. Keep this chocolate in the freezer until use. Repeat process (re-melt chocolate glaze if needed) until you have 8 toppers in the freezer. Make cake according to mix and bake in 4 pans as directed on box. Only fill the pans 1/2 full, or they will overflow. And grease the pans generously!!! My 1st batch stuck a little. You will need to bake two batches to get your 8 cakes. Cool completely. Make filling by beating together the marshmallow creme and the butter until smooth and light (about 2 minutes). Slowly add the powdered sugar, beating on low until it is fully mixed in, and then increasing to high and beating until light and fluffy (another 2 minutes or so). Place filling into a zip top bag and zip it tightly closed. 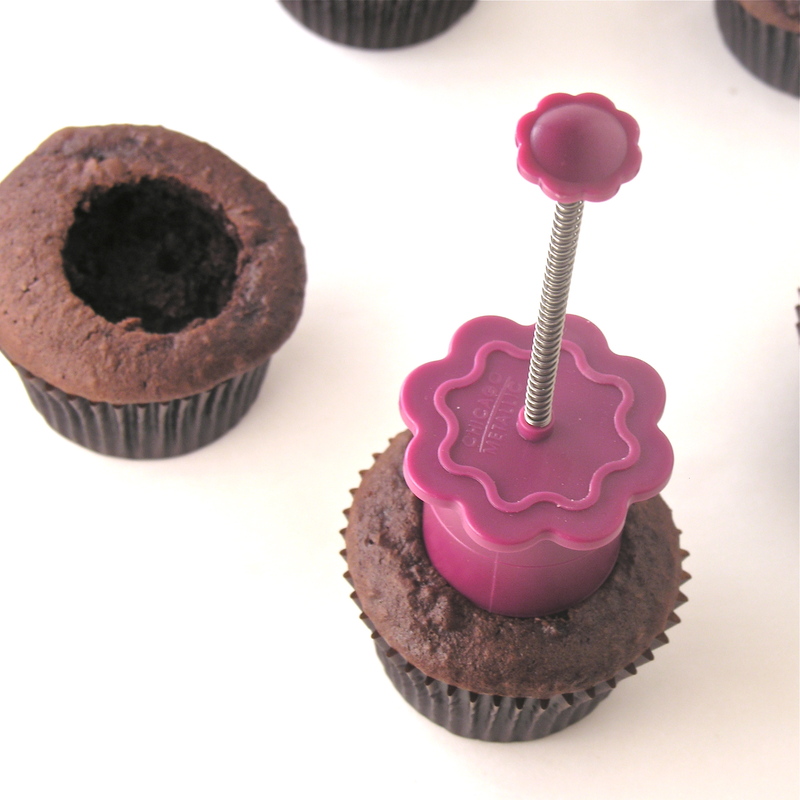 Clip a corner off and squeeze filling into each open cake cavity. 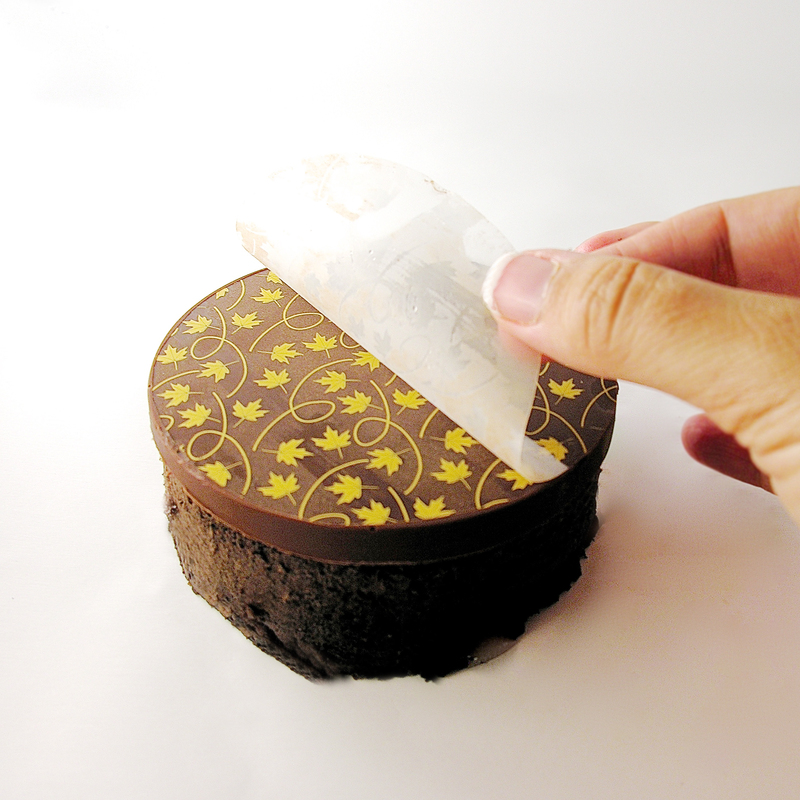 Gently set a chocolate topper over the filling, pressing it lightly against the filling. 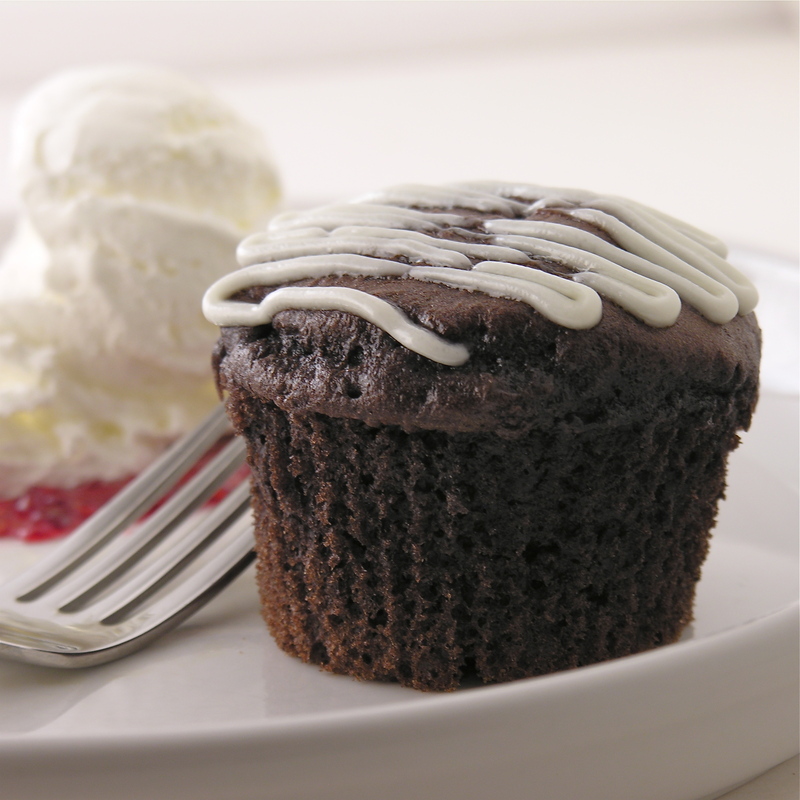 As the topper warms to room temperature, it will soften and stick more firmly to the cake. Gently peel away the plastic from the top of the transfer. Keep at room temperature until serving. Kept covered, these can be stored for two to three days. 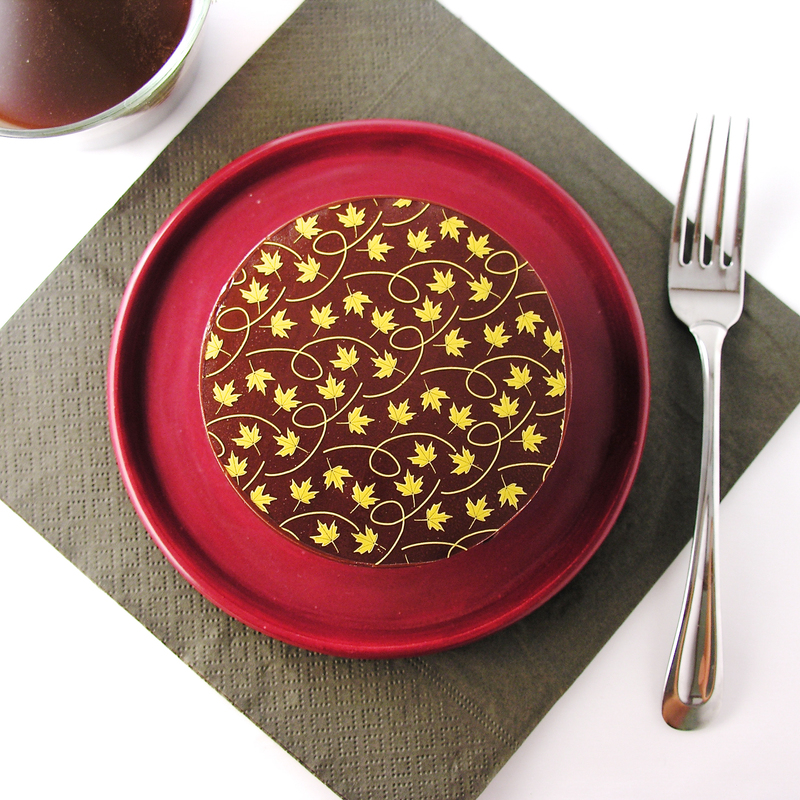 Posted in Cakes, chocolate and tagged cake, chocolate, chocolate transfers, fall dessert, fall recipe, filled cakes, fudge, ganache, glaze, how to use chocolate transfers, individual dessert, marshmallow, marshmallow chocolate cake, thanksgiving dessert. Bookmark the permalink. 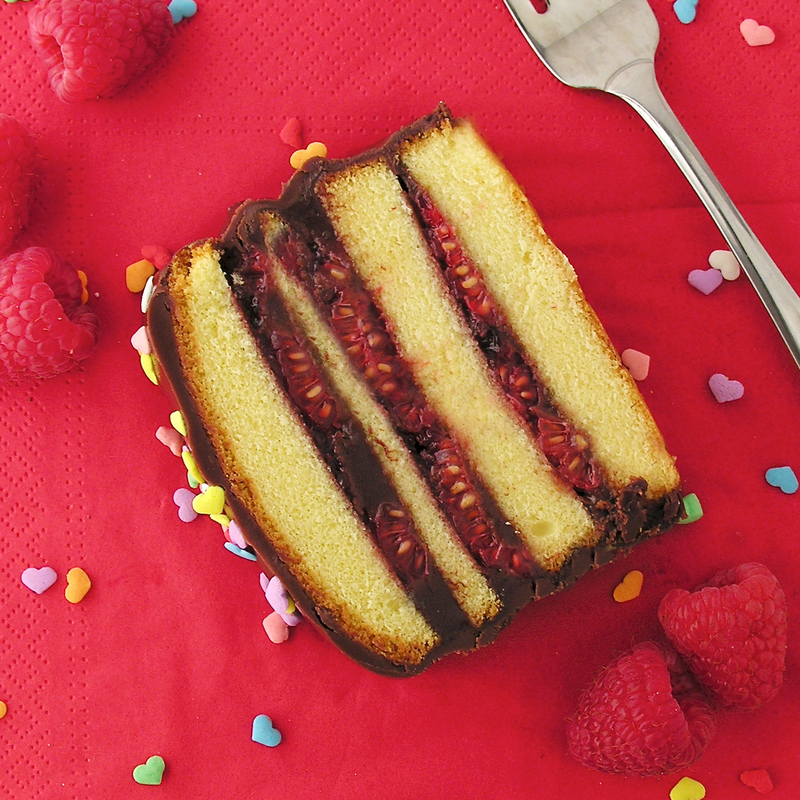 Layers of pound cake, chocolate and raspberry are sure you make your Valentine smile this year! You know those desserts that look incredibly difficult and are super easy? This is one of those. 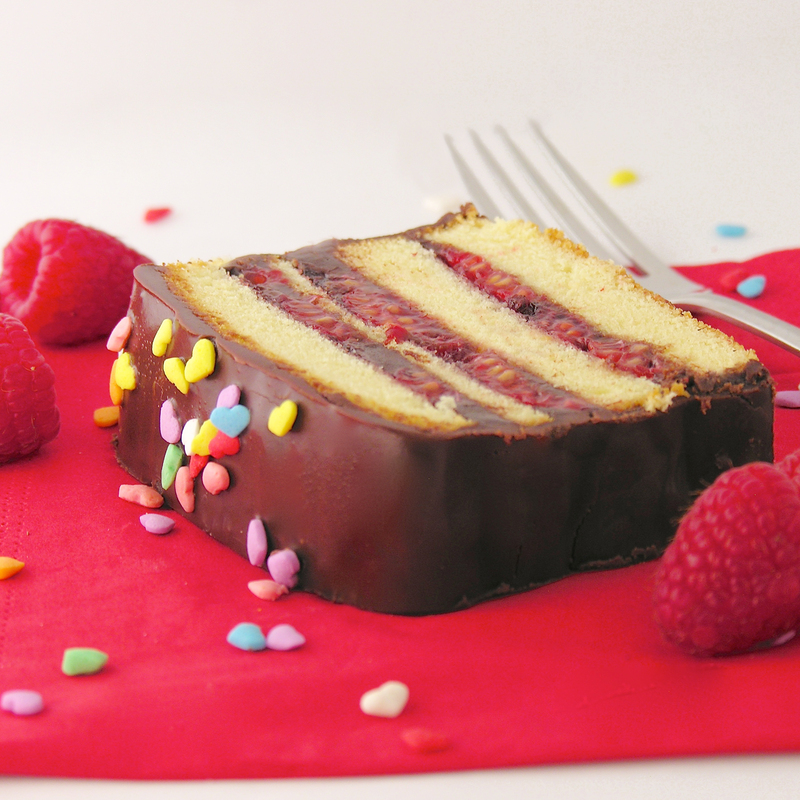 The cake is simply a frozen pound cake sliced and stacked with chocolate and raspberries. Makes you smile, doesn’t it? 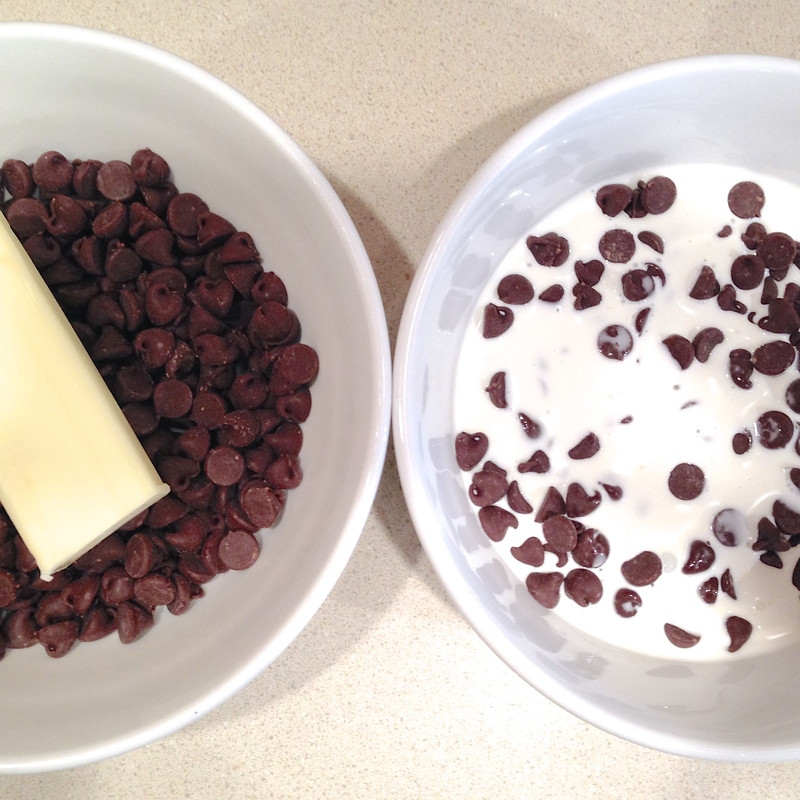 Divide the bag of chocolate chips into 2 separate microwave-safe bowls. Add the stick of butter to one, and the whipping cream to the other. Melt each bowl of chocolate, one at a time, in the microwave, stirring every 30 seconds until melted and smooth. 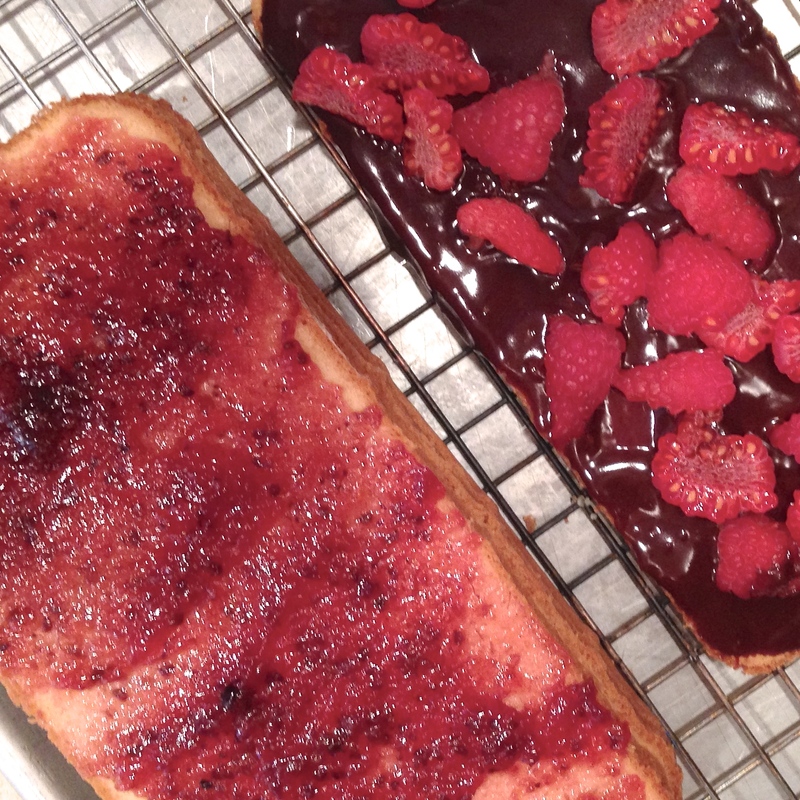 Set aside the butter/chocolate glaze. 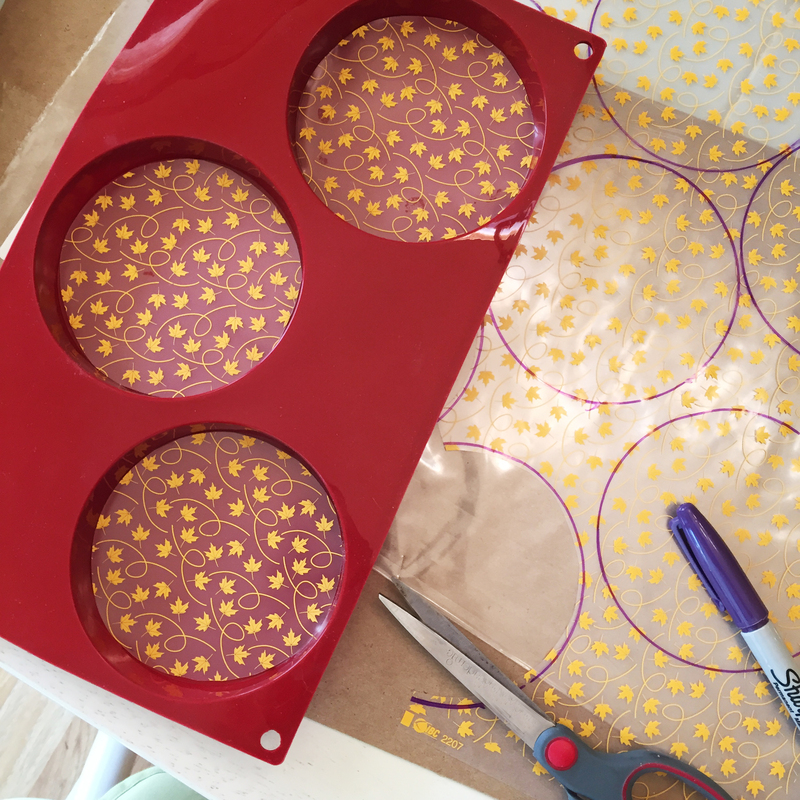 Lay the bottom layer of the pound cake on a baking rack set over a cookie sheet. Spread chocolate/whipping cream mixture generously on the top of this layer and sprinkle with fresh raspberries. On the “bottom” of the next layer, spread raspberry jam and then gently place (jam side down) on top of the raspberries. Repeat this process until all layers are used. Pour remaining chocolate/butter glaze over the top and sides of cake, allowing excess to run through the baking rack and onto the cookie sheet below. Refrigerate until glaze firms up. Posted in Cakes and tagged cake, chocolate, chocolate glaze, dessert, easy dessert, fudge, ganache, layer cake, pound cake, raspberry, raspberry jam, recipe, valentines day. Bookmark the permalink. 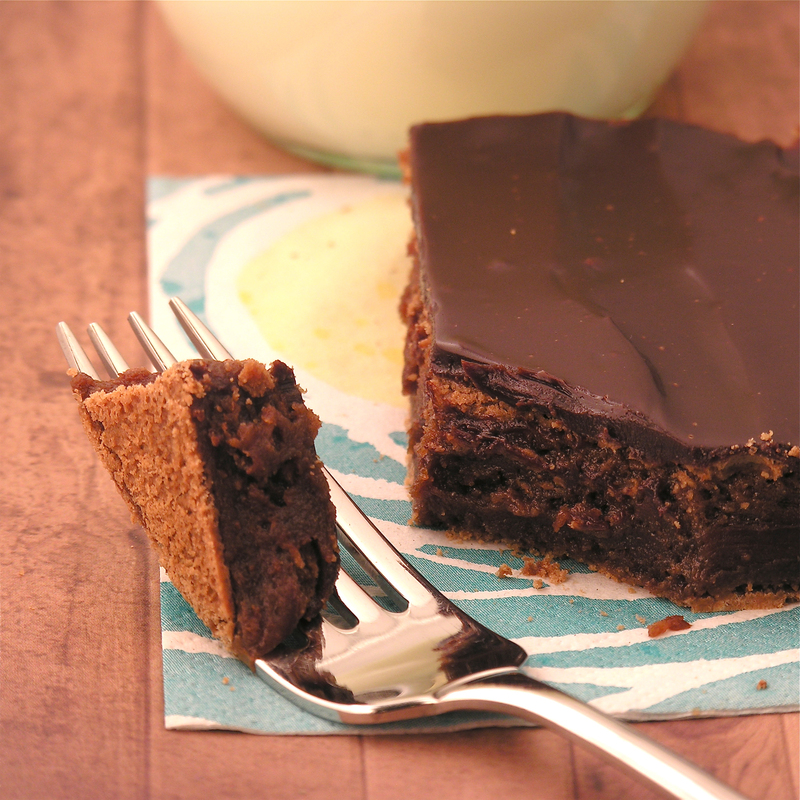 These dense chocolate brownies are topped with a rich chocolate ganache. You won’t be able to eat just one!! It’s November. Time for turkey and thankfulness. 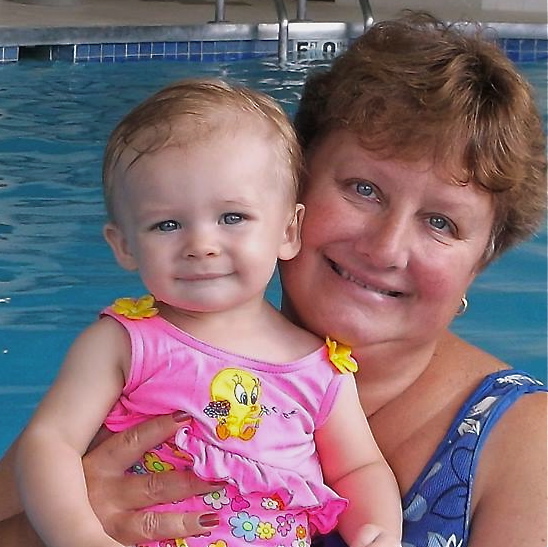 One of the things I am incredibly thankful for is my wonderful family. We are spread over many states and have many interests, but one thing we all love: dessert. This month I am going to feature some of our family’s best dessert recipes– just to get you all ready to bring some mouthwatering treats to your Thanksgiving feast! 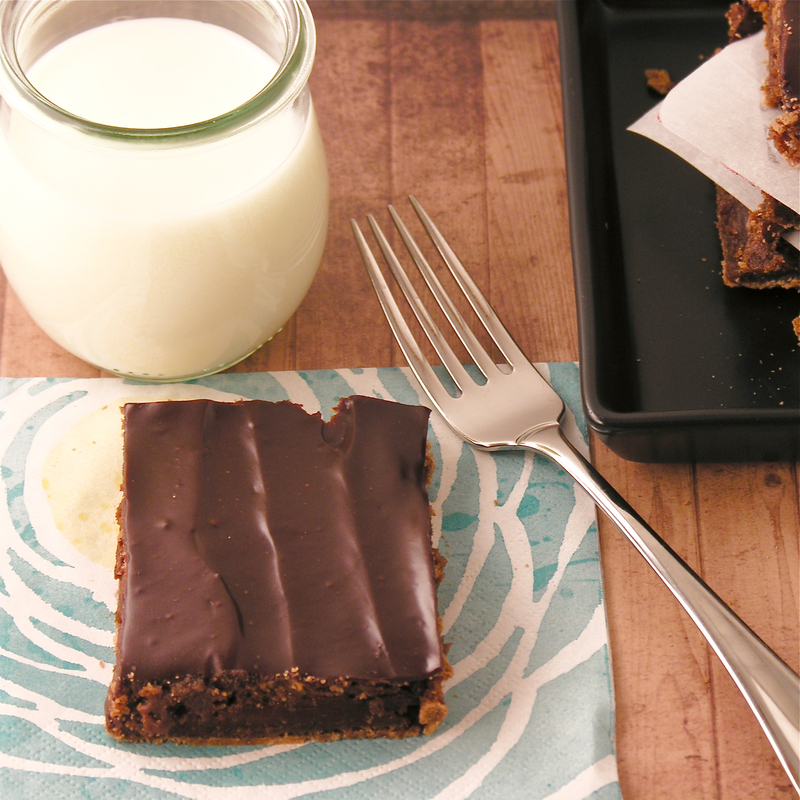 This brownie recipe is from my Aunt Sara. She’s known in our family for her wonderful layered salad, but since this is a blog about sweets, that recipe will have to wait for another day. Several years ago I asked everyone in our family to submit recipes to compile into a family cookbook. SO many wonderful things (with the exception of “Feline Delight”, submitted by my Uncle Keith and my dad, involving a stew made from the family pet…. a joke, of course!) My Aunt Sara turned in this brownie recipe and I’ve always wanted to try it but just hadn’t taken the time until right now. The verdict: AMAZING. These are the most fudge- like brownies I’ve ever had. If you prefer cake-like brownies just stop reading right here….because these are rich, heavy, delicious bits of chocolate joy. Place butter and chocolate into a microwave safe bowl and melt in 30 second increments, stirring between, until melted and smooth. Beat eggs and salt until they turn a light yellow color. Add sugar to egg mixture gradually, and then beat until thick and creamy (about 15 minutes). Fold in melted chocolate/butter mixture. Add flour and vanilla and beat until smooth. Lightly spray a 9×13 pan with cooking spray and pour batter in. Bake at 325F degrees for 25-30 minutes. Toothpick should not come out clean- if you over-bake them they will be dry. Place chocolate (either chips, or chopped up) into a bowl. Bring whipping cream to a boil over the stove. Refrigerate about 20 minutes, until thick enough to spread, but not completely set. Spread over brownies and enjoy!!! Posted in Brownies and tagged baking, best, brownie, brownie recipe, brownie recipes, chocolate, chocolate brownies, chocolate ganache, dark chocolate, dessert, fall, family recipe, fudge brownie, ganache, recipe, sweets, thanksgiving, whipping cream. Bookmark the permalink. One of the most frequent questions I’m asked about this blog is this: How do you keep coming up with new and original recipes? The answer is this: I find elements (usually a filling, topping or frosting) that I love in one recipe and imagine ways to use it again in a totally new recipe. Here’s an example: My friend Dawn’s friend Lily gave her a recipe for caramel chip bars. I changed a few elements in the recipe and made it my own. The bars are reeeeaaaaalllly good. 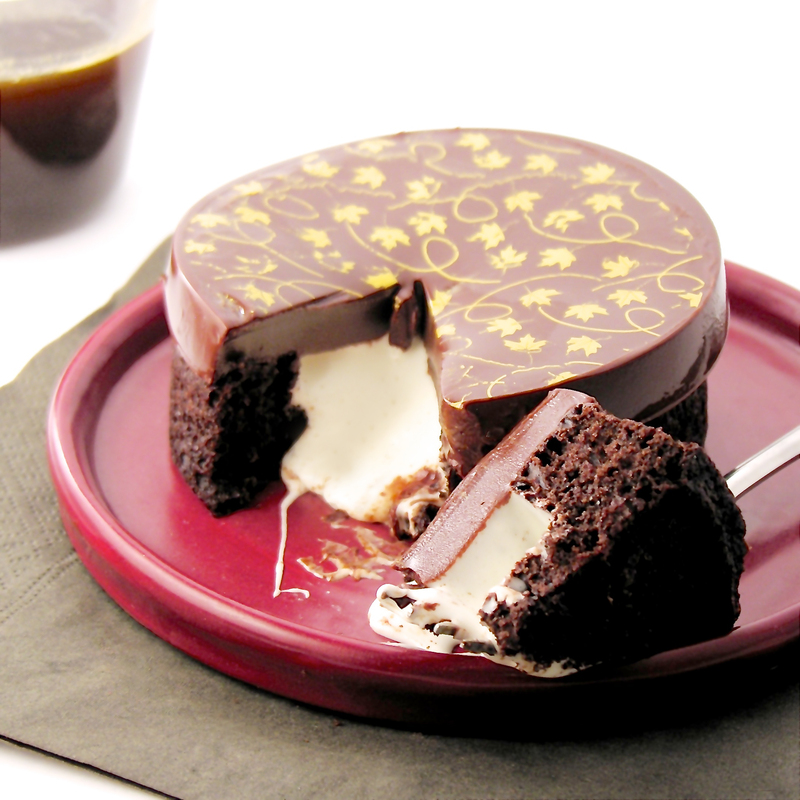 The best part about them is the amazing caramel sauce that makes up the middle layer. How have I used this caramel sauce since? 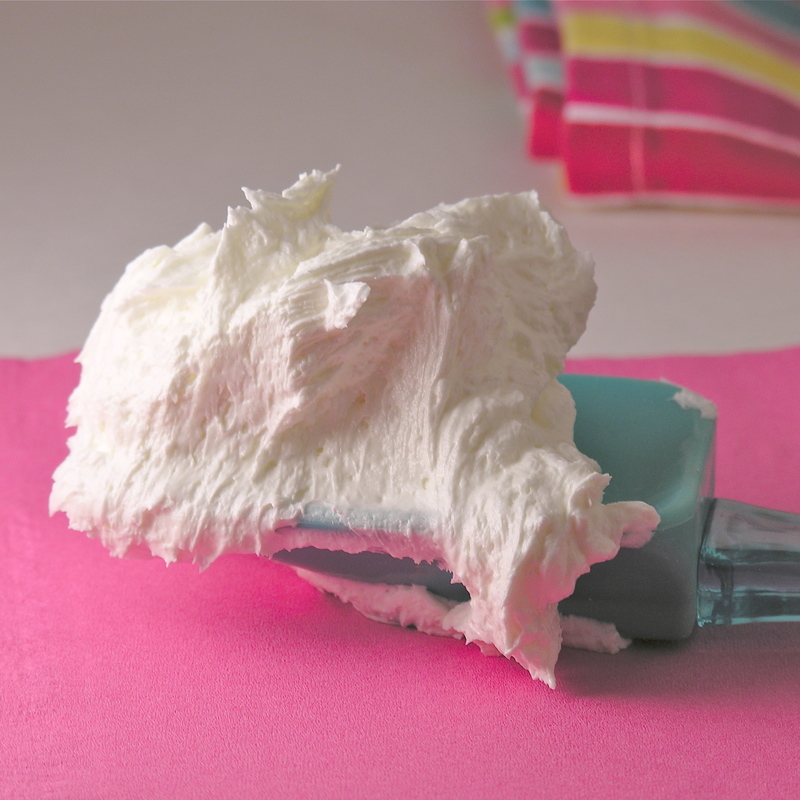 By far, my favorite frosting recipe ever. 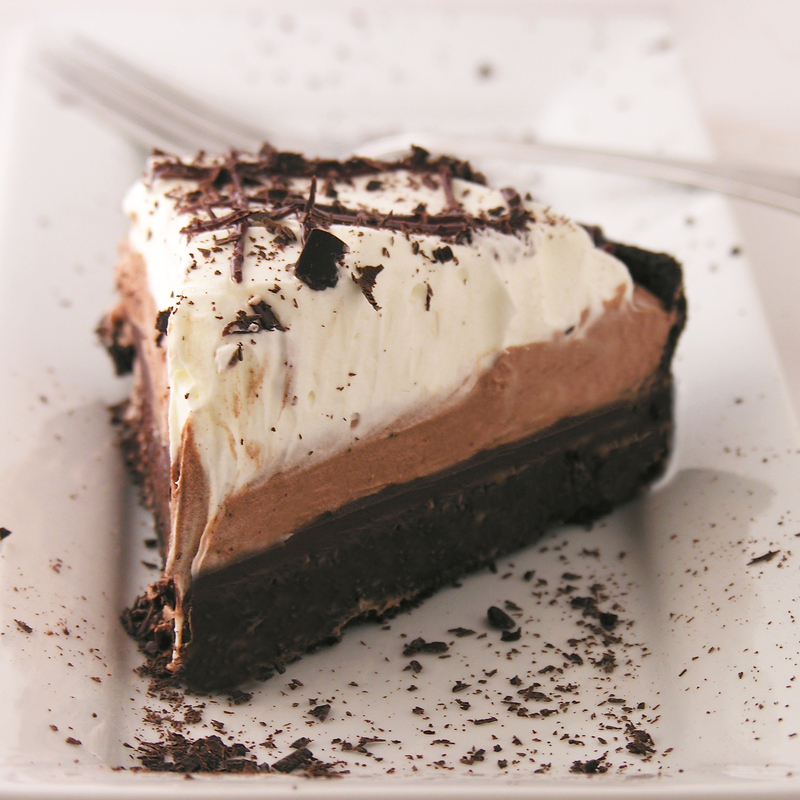 Light and whipped and a perfect blend of sweet and a touch of salty. If you want it flavored use extract in place of the vanilla. You can also add colors. 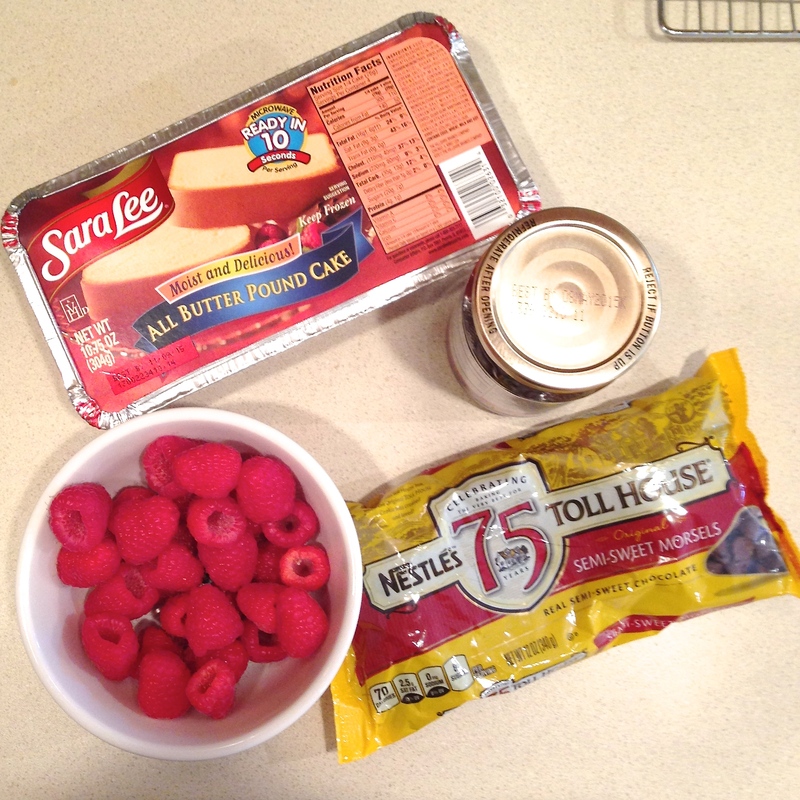 Place all ingredients in a mixing bowl and beat on high until light and fluffy. This is enough to frost 12-18 cupcakes. 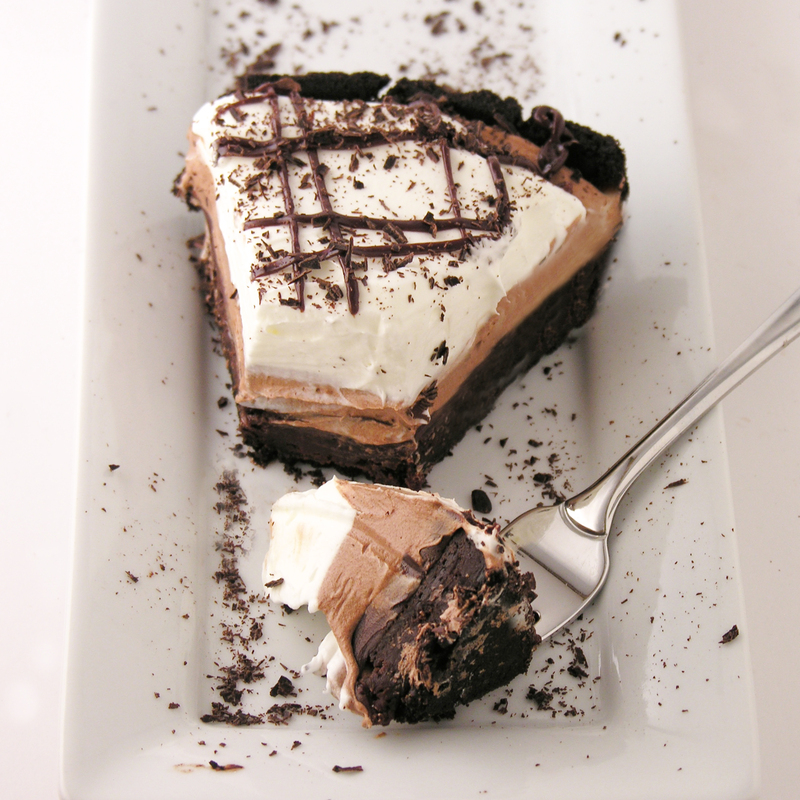 Double this recipe to frost more or to frost an entire layered cake. In saucepan combine sugar, evaporated milk, butter and egg yolks. Cook over low heat (stir constantly!) until this thickens considerably (took me about 8 minutes). 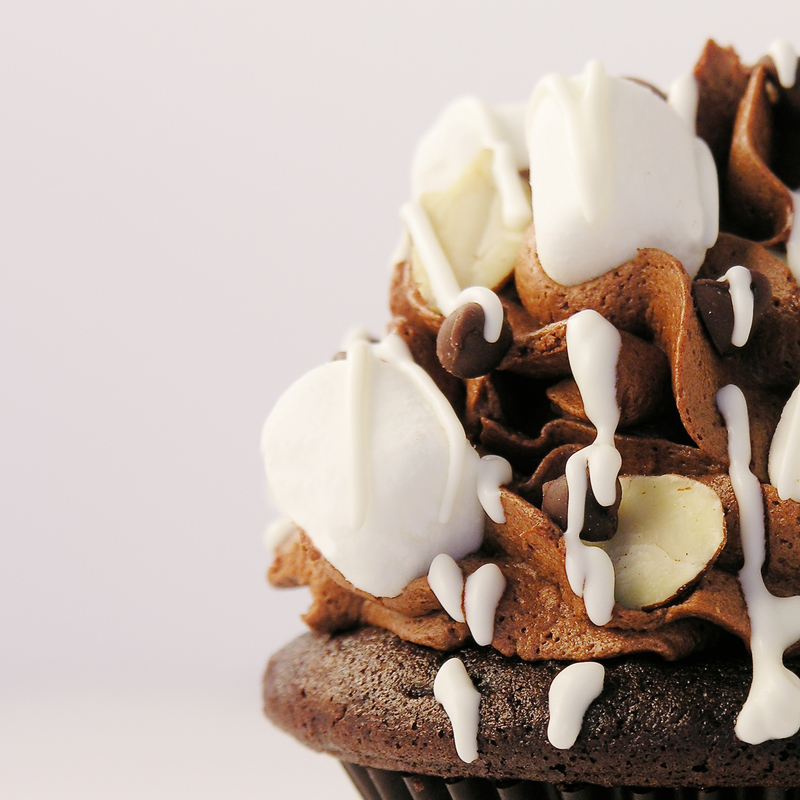 This makes enough frosting to frost a layer cake. Just plain fun. Use different flavors to be as creative as you want! Cream together cream cheese, Kool-Aid and food coloring (if desired) until smooth. Cream together softened cream cheese and about half of the powdered sugar. Set aside. Add remaining ingredients together in a large mixing bowl and stir until all powder is combined. Mix with an electric mixer (beaters are ok, but I like to use my whisk attachment if you have one) on high until very stiff peaks form. Add cream cheese mixture and continue beating on high until stiff and thick. 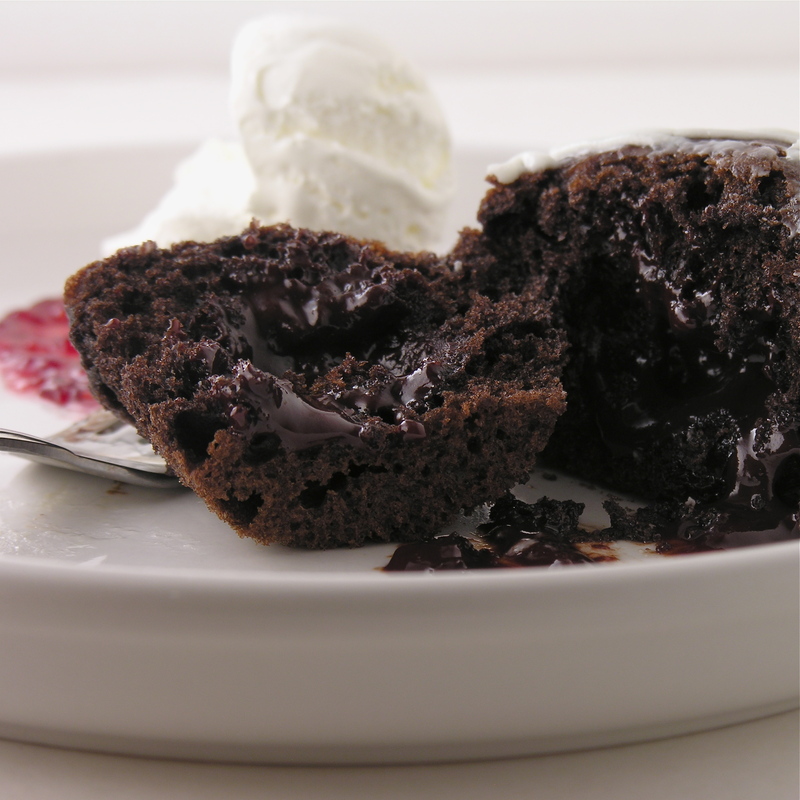 This is perfect for layering inside of brownies and cakes. 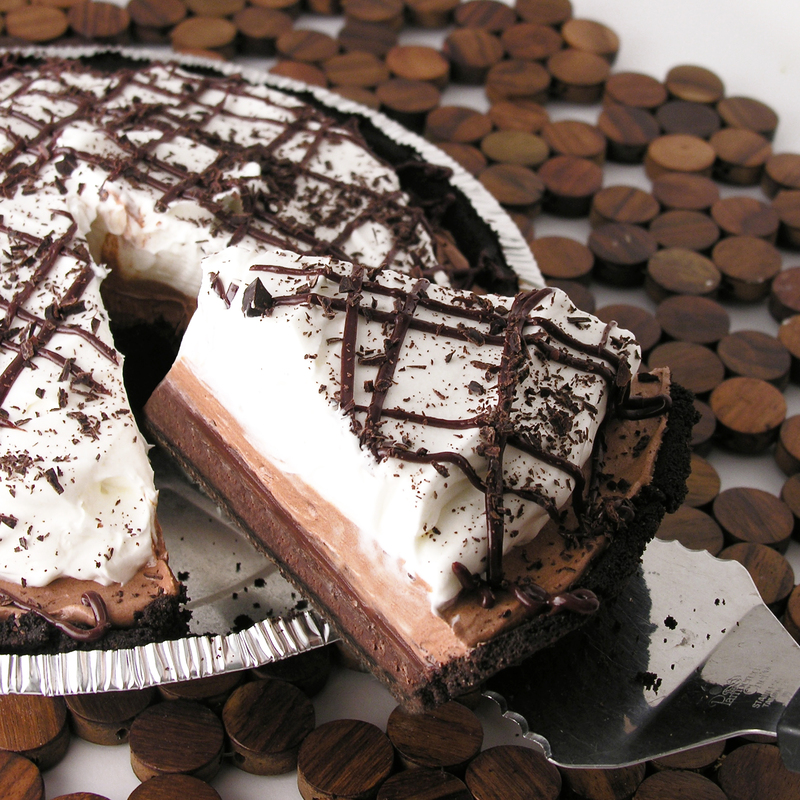 I’ve even made a peppermint patty tart using this filling as a layer inside. 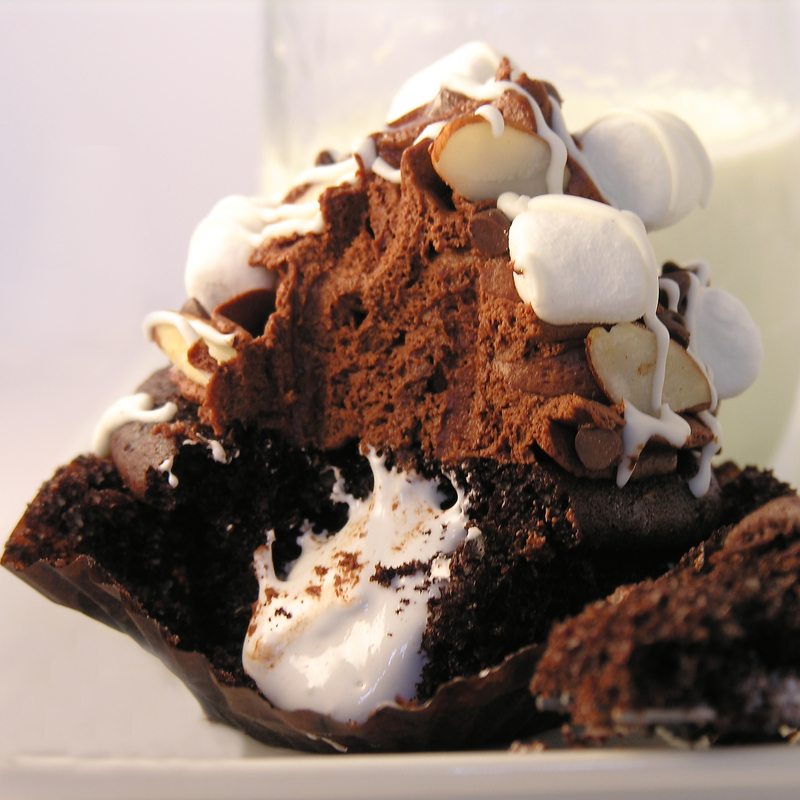 Perfect for making a cream pie or putting in little cookie cups- this filling’s potential is as endless as the flavors of Kool-Aid on the shelf! Kids will LOVE this! Add Marshmallow fluff and blend well. Fold in 1c. of Cool Whip. 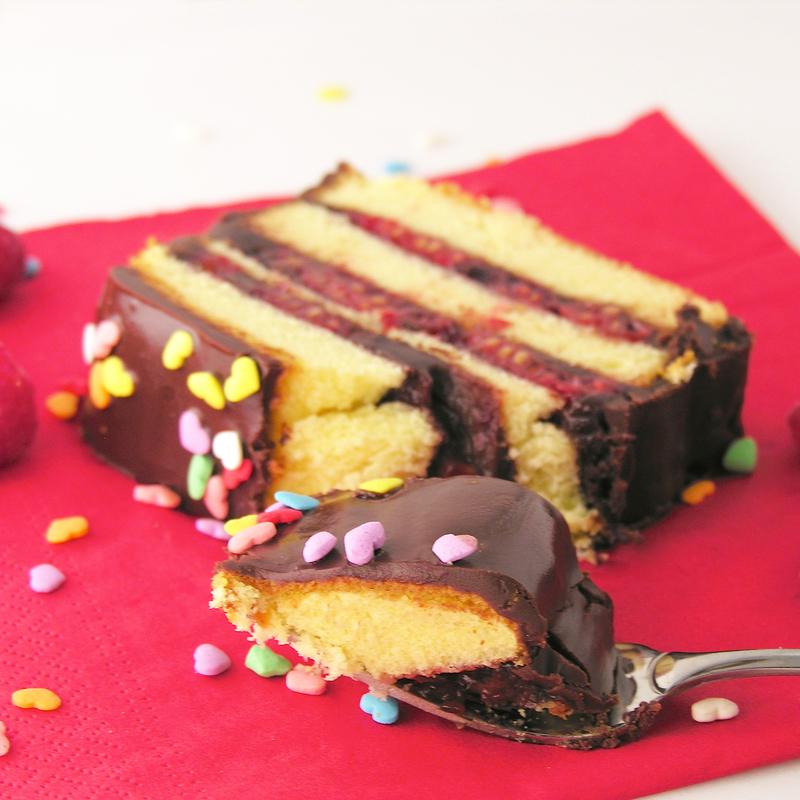 A perfect creamy filling for a layer cake–YUM! I’ve used this no-bake cheesecake filling for years- I like to make it and fill a pre-made graham crust for a super easy dessert! Fold in Cool Whip and 1 c. chocolate chips. This glaze is nice because it hardens just enough to still cut- like a really hard fudge. 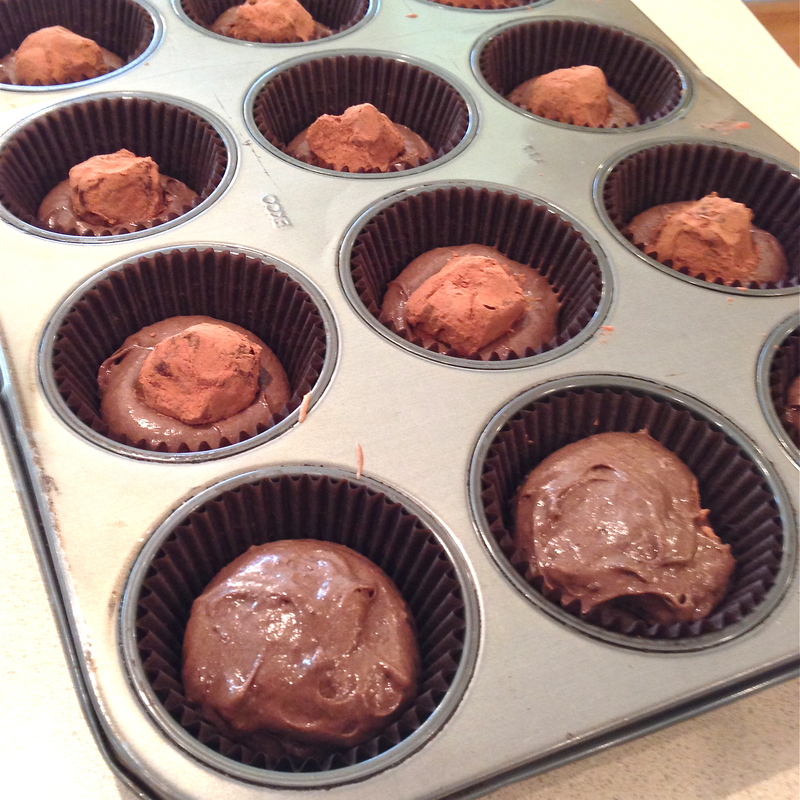 Pour over dessert and spread evenly. Allow glaze to harden. This is a big go-to topping for me- you’ll see it in many varieties in my recipes. You can change the flavor by changing the type of chips you use. 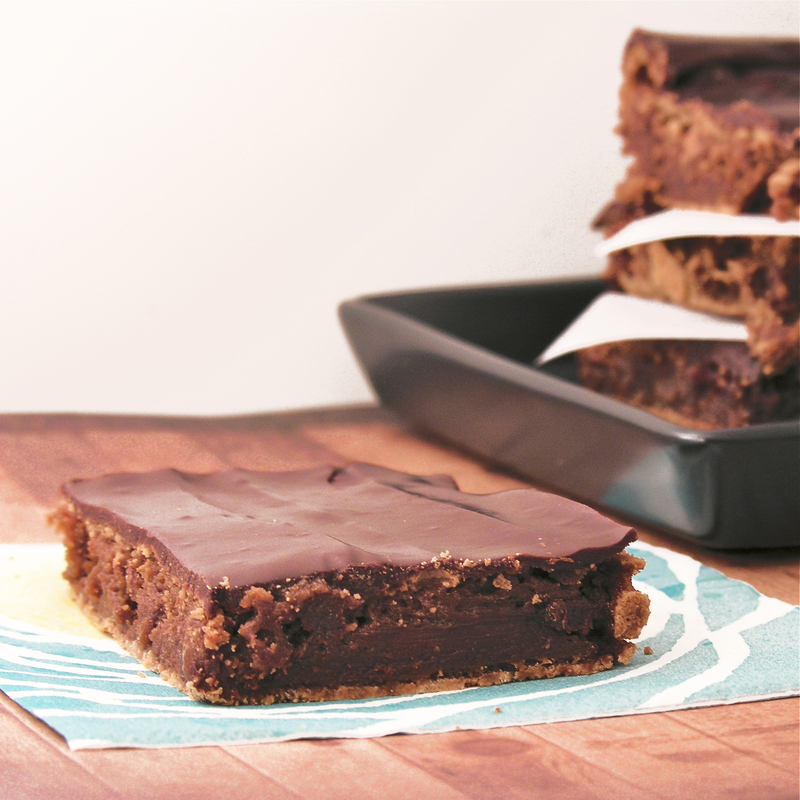 I’ve made dark chocolate, milk chocolate, white chocolate, butterscotch, cinnamon and peanut butter ganache using this recipe— it makes a GREAT (easy to cut!) topping for cheesecakes. Turn off heat, add chips and cover pan for 5 minutes. Pour over dessert (or into cookie cups etc.) and allow ganache to harden. Such a simple topping- yet so yummy! Spoon frosting into a microwave safe bowl. Warm in microwave for about 30 seconds. Pour over dessert and allow glaze to harden. 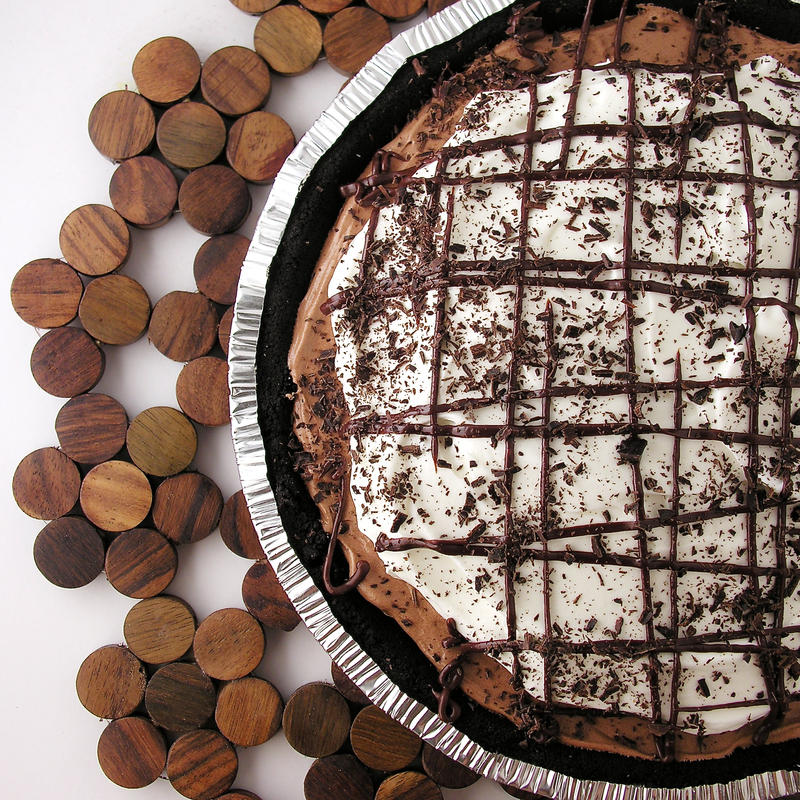 The best thing to drizzle any dessert with. These are little candy wafers in a variety of colors that you can melt and drizzle. 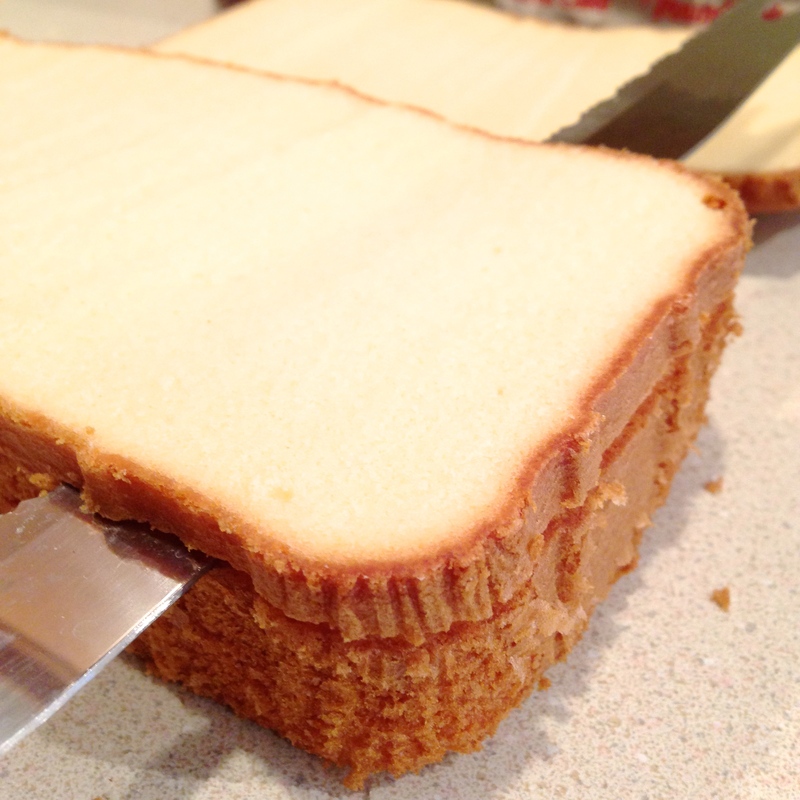 They harden into a solid layer though- so cutting them is more difficult. I hope this collection of my favorites inspires you to create wonderful new treats! 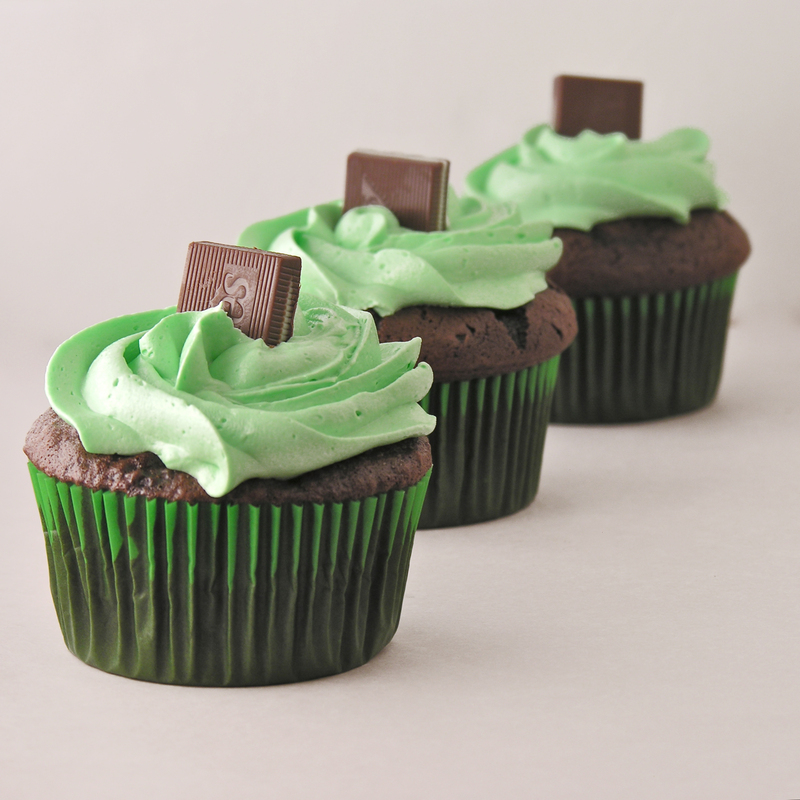 Posted in Easy recipes, Miscellaneous and tagged best frosting recipes, buttercream frosting, chocolate, filling, frosting, ganache, german chocolate frosting, mint frosting, peanut butter frosting, royal icing, store-bought frosting, vanilla, Wiltons candy Melts. Bookmark the permalink.